What services is Intertek ShipCare able to offer the shipping community? 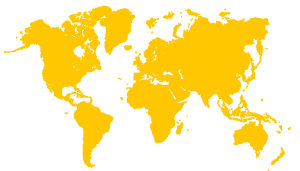 Intertek is the trusted provider of quality and safety solutions for many of the world’s leading brands and companies, and Intertek ShipCare is the shipping community’s gateway to Intertek’s global network of state-of-the-art laboratory facilities and industry-leading technical expertise. Intertek ShipCare offers bunker quantity surveys and laboratory services to the shipping community, including the analysis of bunker fuel, lubricants, firefighting foam, water and effluents. We are also able to access specialists in corrosion analysis, electrical testing, auditing, certification and consulting services from our experienced and world-renowned teams. What is in an Intertek ShipCare fuel testing kit? i.e. 36 bottles, unique seal numbered caps and 12 mailers. Please note that Intertek ShipCare’s fuel testing kits include 12 extra bottles, caps, labels and a logbook to allow vessels to remain compliant with the MARPOL Annex VI regulations. Can I get cubitainers from Intertek ShipCare? Yes, Intertek ShipCare can supply cubitainers. In fact, we supply everything necessary to take a sample of fuel. Our standard cubitainers have a 5l capacity, are offered in boxes of 24 and are compatible with drip samplers from other suppliers. Does Intertek ShipCare supply manifold drip samplers? Yes, at Intertek ShipCare we do supply manifold drip samplers. In fact, we supply everything necessary to take a sample of fuel. I am running low on sample bottles, how do I reorder? Included in the sample kits we supply to the ships is a supply request form. Simply complete this form and send it back to us. We will then make the necessary arrangements to deliver the supplies to the ship. Please allow at least five working days for delivery if possible. Alternatively, you can email the Logistics Department or call +44 1325 390 180 to order a sample kit. Other testing services issue bunker alerts – does Intertek ShipCare? Like other service providers, Intertek ShipCare issues bunker alerts. These are issued, for example, when a trend of off – specification results from a particular bunker port is identified. We take the view that this information is the property of Intertek ShipCare’s clients and is not the property of Intertek ShipCare, consequently Intertek ShipCare’s bunker alerts are distributed to Intertek ShipCare clients only – they are not issued on a general basis. Too often, bunker alerts are issued without due caution being exercised. This can result in the unjustified tarnishing of a particular bunker location, unnecessary (and often expensive) precautions being taken by the ship owner and the dilution of the effect of bunker alerts. Intertek ShipCare takes a cautious view on bunker alerts, and careful consideration is given to whether or not the observed trend can be accounted for by any other reason. Intertek ShipCare takes the view that exercising caution is in the best interest of Intertek ShipCare’s clients, the fuel supplier and Intertek ShipCare. What does the pre-testing of bunker fuels involve? The pre-testing service offered by Intertek ShipCare enables the quality of fuel to be known prior to delivery to the vessel. The fuel purchaser can then decide whether to accept the fuel, or request the supplier to provide an alternative bunker stem. Using this service ensures that off-specification fuel is not delivered to the vessel and minimises the need for costly de-bunkerings. The surveyor and Intertek ShipCare personnel remain in contact with the supplier to ensure that there are no delays. Samples are transported to the laboratory where a volumetric composite of all tanks sampled is prepared. ISO 8217:2005 or ISO 8217:2012, using modified Intertek ShipCare test methods. Analysis normally takes between 4- 6 hours, although this may be extended if parameters are found to fail to meet the specification. Results are reported to the vessel, and/or client, before the barge commences pumping to the vessel, so that the quality of fuel designated for that client vessel is known prior to bunkering. In most cases, barges are instructed by the supplier to wait for Intertek ShipCare results prior to commencement of pumping operations. Sampling of the barge is a critical part of the operation as non-representative samples affect quality. The Intertek ShipCare surveyor is instructed to follow the Intertek ShipCare sampling procedure.